Animal Accident & Emergency is seeking applicants for a full time emergency and critical care veterinarian. Our hospitals are purpose-built 24-hour emergency, critical care and referral facilities, with the latest up-to-date equipment. We have everything you will need to provide the best standard of care including multi-parameter patient monitors, in-house laboratory, ultrasound, endoscopy, digital radiography, mechanical ventilation, CT and fluoroscopy. The position will involve shift work at both our Essendon and Point Cook centres and would suit applicants looking to further their career within emergency and critical care. Support from Registered Specialist in Internal Medicine. Employment is shift based, with rotations involving day, night, weekend and public holiday shifts. 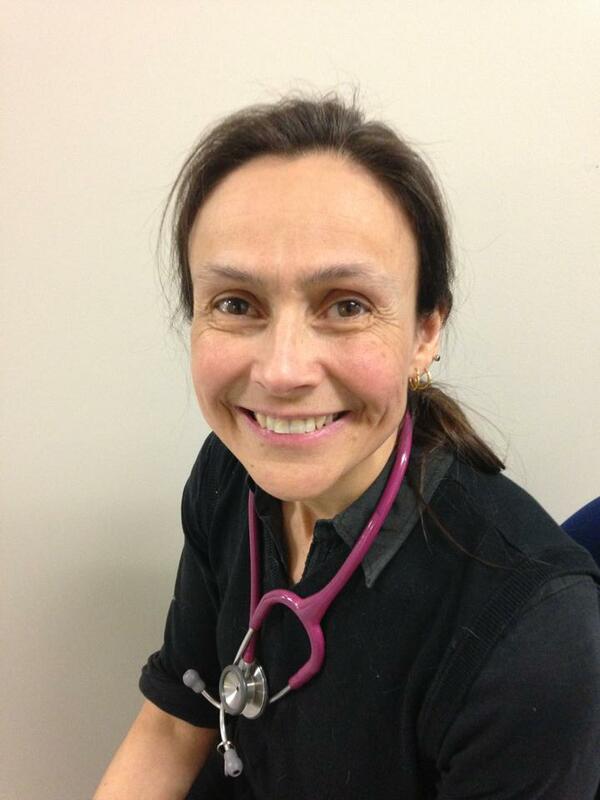 From Wednesday 9 July 2014 Dr Linda Abraham will be conducting specialist medicine consultations from our Essendon Fields 24hr Pet Emergency Centre. Dr Abraham will be consulting from Essendon Fields every Wednesday from 9 July 2014. To book a consultation with Dr Abraham please contact our Point Cook Centre on (03) 8368 7400 and specify the appointment is for Essendon. Appointments are by referral from your veterinarian. 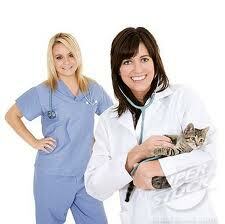 Animal Accident and Emergency (AAE) is a purpose-built animal emergency centre servicing Melbourne. It provides 24hr animal emergency services. There are two great locations – Essendon and Point Cook. The centres are located to provide direct and easy freeway access. Hyperthyroidism is a common condition of older cats resulting from excessive amounts thyroid hormone in the blood stream. The majority of cats will have a benign thyroid tumour causing this condition but some may have a thyroid cancer. The excessive thyroid hormone in the body speeds up the metabolic rate resulting in the common clinical signs of weight loss, increased appetite and thirst, increased activity and excitability, vomiting and diarrhoea. A large thyroid gland, increased heart rate, presence of a heart murmur and increased blood pressure may be reported from the physical examination. The diagnosis is usually made by means of a blood test although sometimes additional testing is required. There are three methods of treatment in Australia: daily medical treatment at home for life, radio-iodine therapy or surgery. Daily medical treatment will be suitable for some cats but it will not cure the condition and periodic examinations together with blood tests will be required to monitor the cat whilst it is being medicated. Some cats may not be able to tolerate the drugs used to prevent thyroid hormone production due to side effects and other treatment options will be recommended instead. Radio-iodine is a simple, effective (over 95% of cats treated will have normal thyroid function after a single treatment) and usually single treatment. Whilst administration of radio-iodine does require sedation and hospitalisation (at a special licenced facility to allow the radiation to decay), the risk associated with this treatment is low. Hyperthyroidism may alternatively be treated by surgery to remove the affected thyroid gland (thyroidectomy). This will require a general anaesthetic and there can be complications following the surgery. Each cat treated with radio-iodine (or thyroidectomy) will need to be assessed for the presence of other illnesses before the treatment goes ahead. This is to make sure that there will not be any complications either during the administration of radio-iodine, during surgery or later when the thyroid hormone has decreased to normal. Both radio-iodine therapy and thyroidectomy provide a non-reversible treatment and one consequence of reducing the thyroid hormone to normal in the blood stream is that for some cats kidney disease may become unmasked by this process. Those cats which will suffer kidney disease when their hyperthyroidism is treated cannot be predicted from initial blood and urine tests. This is why many veterinarians will suggest a medical treatment trial (where possible) to reduce the thyroid hormone to normal. When the thyroid hormone has reduced to normal, blood and urine tests are used to assess how well the kidneys are working. If the kidneys are not working properly, recommendations will be made depending on the severity of the decreased function. For some cats this may mean that radio-iodine and surgery are not recommended. Alternatively, it may mean that the radio-iodine treatment or surgery is postponed while the medication is continued and the kidney function is regularly checked. What will happen to my cat during the treatment? Typically, our cats will be admitted on a Monday (before 12 noon) for treatment the following day. Food is taken out of the cage later in the evening and water is left for the cats to drink overnight. Sedation is given on the Tuesday to administer the radio-iodine capsule by mouth. Even if your cat is good at taking medications, sedation will be used to reduce the risk of radiation spillage should the cat not swallow the capsule. There are strict laws that govern the handling of radiation in Australia. Administration of the capsule is done in a designated area of our hospital where our patients are then housed during their stay. Their body is scanned by a Geiger counter to ensure that the capsule has been swallowed properly. The radiation needs to reduce (decay) to a certain amount and this will usually take a week. Owners are not able to visit their cats whilst hospitalised due to radiation safety regulations. During this period, the cats are observed frequently and fed twice daily. Whilst we provide high quality cat food, some cats may become fussy eaters away from home and we encourage owners to provide a small supply of their favourite food so that their cat may be tempted to eat if they do not enjoy the food offered. Similarly, we provide bedding but if bedding is provided from home it cannot be returned. What do I need to do when my cat returns home? There will be some residual radiation in the cat’s body and prolonged close contact should be avoided for the first week that the cat is home. This means that your cat may not sleep on the bed with anyone at night or on their laps or be held for periods that exceed 30 minutes per day. Any pregnant women or children should not have any contact with the cat for the first week that it is home. The radiation does not work immediately and you may not notice too much difference in your cat’s health at first when they return home. The radiation continues to works it effect over the next weeks to months and we therefore suggest that a blood sample is collected one month after treatment to assess the response. This may be taken at our clinic or by your referring veterinarian. If you are concerned regarding your cats health once home, please do not hesitate to contact our clinic. For pets that are in need of specialised medicine treatment, Animal Accident & Emergency offers a Medicine Service at our Point Cook Pet Emergency Centre. Our Medicine Service accepts all forms of Internal Medicine consults and we are more than happy to provide advice on a wide range of medical conditions. We also see diseases that may affect multiple body systems at the same time, such as infectious diseases or cancer. As part of cancer therapy, we now offer a chemotherapy service. Our Medicine Service is also complimented by our Intensive Care Service for seriously ill patients requiring ongoing 24 hour care. 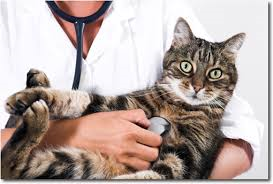 The benefits of seeing an Internal Medicine Specialist in our Medicine Service is that they can offer diagnostic procedures and management of diseases that are often not available in general practice veterinary clinics, which may be due to limitations of equipment or the complexity of the disease. Like all veterinary specialists, Internal Medicine Specialists undergo advanced training in the form of a Residency program and are required to pass Fellowship exams through the Australian and New Zealand College of Veterinary Scientists (ANZCVS) or the overseas equivalent (USA or European boards). This training means that Internal Medicine Specialists develop advanced technical skills that allow them to perform diagnostics and treatment at a specialist level in their area of expertise. Patients seen by our Medicine Service require a referral from their family veterinarian that they see for routine healthcare. We also require the patient’s medical history to be sent in advance of the consultation where possible. We will continue to update the referring veterinarian with summaries of our consultations and aim to work together with them to provide the most appropriate continuing care for your pet. Ongoing management may require periodic visits to our Medicine Service and/or ongoing communication with your veterinarian. As with any veterinary patient, drugs may only be prescribed for those directly under our care, which means that drugs may only be dispensed by our clinic for up to six months following a consultation with us. It is also important to note that our Medicine Service does not provide primary healthcare (such as vaccinations and desexing) as these types of vet care are performed by your family veterinarian. Since early 2013, the development and management of the Medicine Service has been headed by Dr Linda Abraham, who is an Internal Medicine Specialist with many years of experience in referral/specialist veterinary practice. Prior to attending university, Dr Linda Abraham worked as a veterinary nurse in a mixed practice. In 1983, Linda passed her preliminary veterinary nursing examination and then her final veterinary nursing examination in 1985, for which she was awarded the BSAVA prize for the highest marks in that year. Linda then went on to graduate from the Royal Veterinary College, London in 1994 with a Bachelor of Veterinary Medicine (BVetMed). She has also completed a Bachelor of Science (BSc) and a PhD from the University of London in 1991 and 1998 respectively. Following on from this, Linda then underwent specialist training, completing her Membership in Small Animal Medicine (MANZCVS) in 2000, and then completing her Fellowship in Canine Medicine (FANZCVS) in 2006. She has since acted as an examiner for the ANZCVS both at the Membership and Fellowship levels. Linda’s residency program (specialist training) at the University of Melbourne was supervised by Dr Steven Holloway and after the program was completed, she continued to work at the University of Melbourne as a registrar initially and then became a member of faculty in 2002. Linda has lectured veterinary undergraduates for many years at the university and is currently involved in teaching veterinary post graduate continuing education programs. Linda’s areas of interest include endocrine disease and, despite having specialised in canine medicine, she has a particular interest in feline endocrine disease, including feline hyperthyroidism. Linda has previously treated many cases of feline hyperthyroidism successfully with radio-iodine therapy (this treatment will soon be available at our Point Cook Clinic). Linda also has an interest in liver disease and the treatment of cancer. Dr Linda Abraham is available for specialist medicine consultations during weekdays (excluding public holidays). Please contact our Point Cook Pet Emergency Centre on (03) 8368 7400 to book an appointment. Appointments are by referral from your family veterinarian or AAE’s emergency veterinarians.